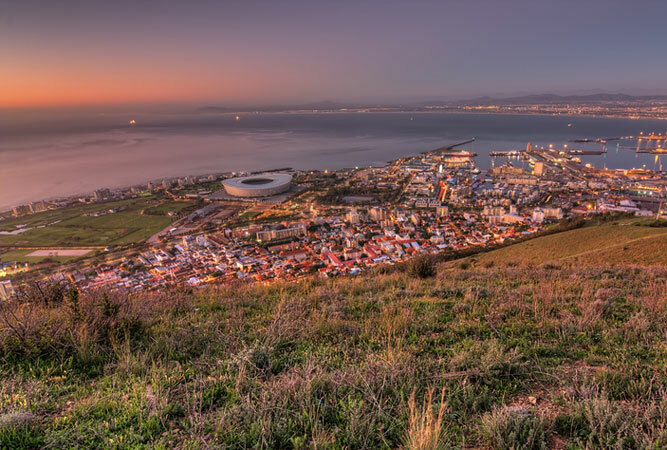 Cape Town is one of the most walkable cities in South Africa. We’ve put together a list of city bowl walks that will have you in touch with the beat of the city’s heart in no time. Included in our list are free guided walks, walks you can do on your own, and those Cape Town walks that you shouldn’t pass up the opportunity to do. 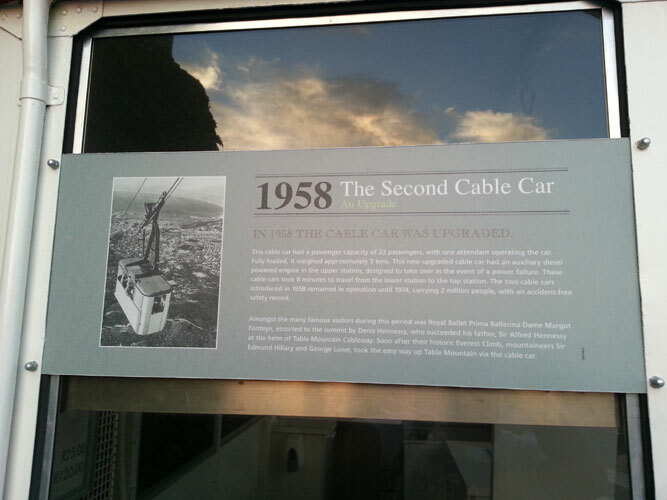 walks the partly resurrected slopes of District Six to relive the dramatic history of the place. Highlights include the resettlements, the seven steps, St Mark’s Church, a cairn of conflict, the gangs of Cape Town, chocolate cake to die for, where the locals dine, District Six Museum, The Fugard Theatre and the Apartheid Bar. takes one past colourful homes and the smell of spices, whilst the mosques call for prayer. Highlights include a secret spot for local beer, the oldest mosque Auwal Masjeed, Tuan Guru, the old Tailor’s House, Biesmiellah Cape Malay restaurant, the Atlas Spice Trading Centre, and Chiappini Street. reveals Cape Town’s heroes and villains, the sites of political violence and peaceful revolutions, drama and harmony and personal accounts of what it is to be Capetonian. Highlights include St Georges Cathedral, Parliament, the President’s House, Green Market Square, the Castle of Good Hope, the Slave Lodge and Company’s Garden. Collect a free map from the Information Centre and self-guide your walking tour around the V&A Waterfront. There are 22 landmarks across a varied history that can be traced back to 1654, when Jan van Riebeeck built the first jetty as part of establishing a refreshment station for the Dutch East India Company at the Cape. Highlights include: Dock House (1870), Time Ball Tower (1894), Harbour café (1902) and Old Port Captain’s Building (1904). Follow the numbered boards at various key points of interest. If you would rather take a guided tour, they cost R50 per adult, R20 for children under 16. 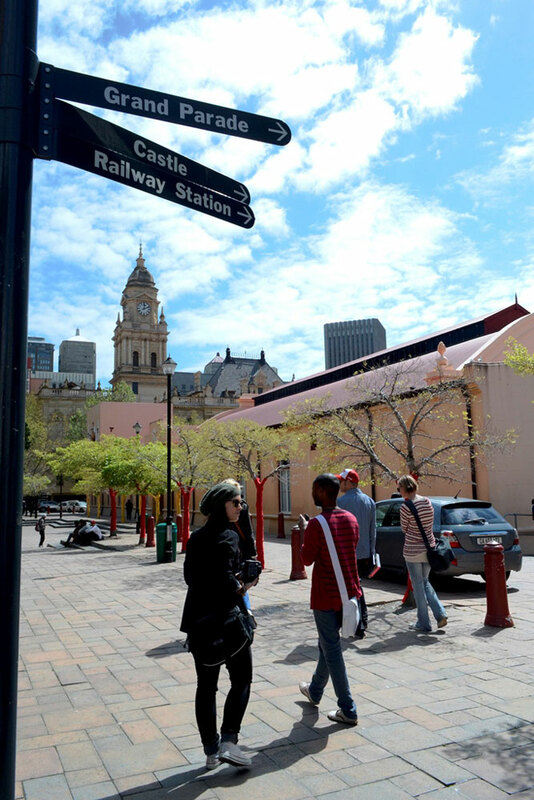 On the third Saturday of every month the Cape Town Partnership provides a free city tour starting at the Company’s Garden along St George’s Mall to Waterkant Street, up the Fan Walk and on to St Andrew’s Square. The walk connects places, history, art, and music through storytelling, bringing the city’s public spaces to life. This part hike, part scramble, is one of the most popular walks in the city. But well worth doing for the views and the spectacle. Join the crowds leaving at least half an hour before sunset, their backpacks filled with water, snacks and the odd bottle of champagne (don’t forget a torch or headlamp for the way back down). 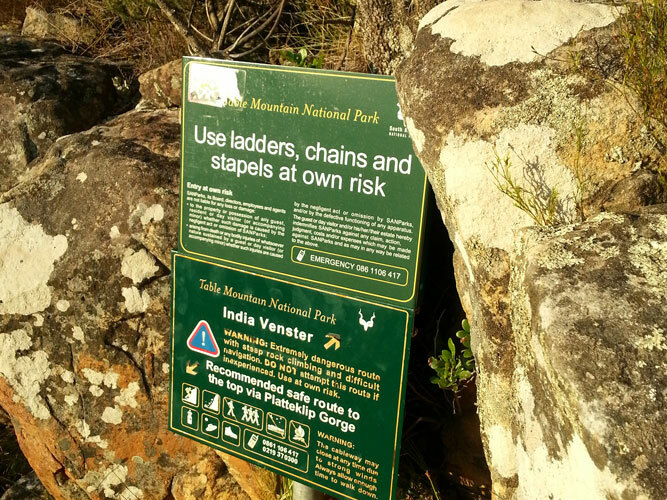 The walk is short, but steep and there are small chain ladders towards the top. Plenty of parking on the road below Lion’s Head. Download a copy of Walking Cape Town (Struik) – the Kindle version was $17.10 (R236) on Amazon when this blog was published (you can read it on any device, including your smart phone). The book holds 24 walks for the urban sightseer of Cape Town from Company’s Gardens through Green Point, Sea Point and Camps Bay, the Bo-Kaap and even the seaside villages of Kalk Bay, Muizenberg and Simon’s Town. The walks are arranged in bite-size chunks of an average 3km apiece with an easy-to-follow detailed route map and accompanying fact panels that give details of the city’s landmarks and famous residents. It gives distances, time needed to complete a walk and level of difficulty. An added bonus are the suggestions for restaurants, pubs and coffee shops. The walks have a strong emphasis on the city’s heritage (John Muir was chairman of the Simon van der Stel Foundation, a heritage organisation). 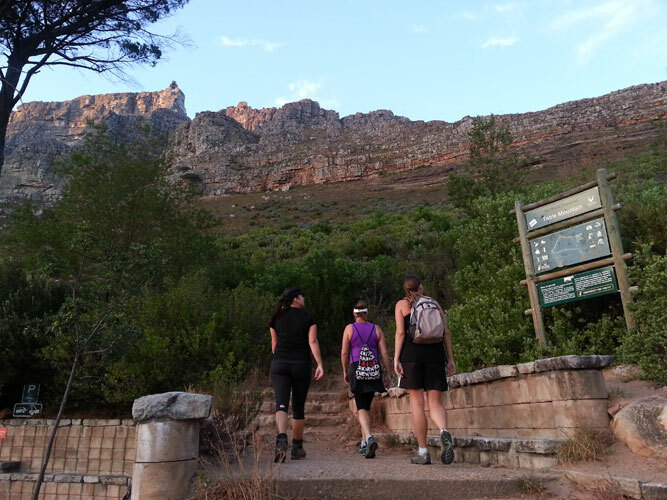 You can access a selection of walks designed, and told, by locals of Cape Town simply by downloading the VoiceMap app. Using what is called immersive storytelling, the walks involve a first-person interactive account; an online compelling experience, which makes the user (you, the walker) part of the story. VoiceMap allows you to listen while you walk with GPS autoplay. Along the way, the storytellers point out the tiny details at just the right time, and you get directions too. A few of the walks are free, but the fee for those that are not is hardly likely to break the bank (between R14 and R82). Certainly nothing like you would pay for a fully-guided tour. Walks include: cycling the seaboard, Cape Town’s secret tunnels and lost rivers, Woodstock Street art tour, being a woman in Cape Town, Muizenberg like a local, Kirstenbosch walking tour and Green Point park. This is an experience you cannot pass up. The unique exploration of Cape Town on foot below the city’s streets is incredible. Most people, even those who live in the city, are unaware of the tunnels’ existence. Big enough to walk upright, these tunnels were the city’s original waterways that later, with urban expansion, got covered over (they are also the answer to the city’s water-strapped future!). Whilst back in the day the waterways carried sewerage, today it is fresh water that runs off Table Mountain and flows to the Castle of Good Hope and out to sea. These guided tours last around three hours, and some include exploring the secret passageways of the Castle. This walking theatre tour follows the ‘hotspots’ that were part of a slave’s life during the days when Dutch settlers had slaves, many of whom went on to have their master’s children. Played off from Green Market Square and into the Bo-Kaap, back down Bree Street, past the flower sellers of Adderley Street to the Grand parade, the Castle and the Old Slave Lodge the tour is peppered with historical anecdotes and risqué humour.